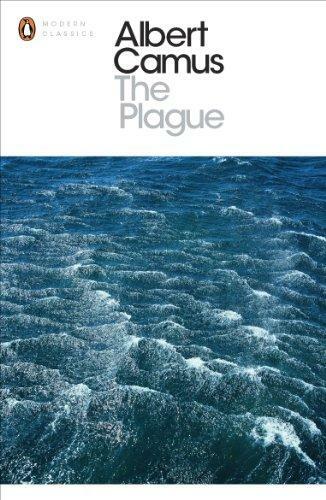 Albert Camus’ novel The Plague was part of what won him the Nobel Prize for literature in 1957. I anticipated an entertaining adaptation of his novel at the Arcola Theatre in east London, an intimate theatre with a three-sided “thrust” stage. The Plague is seen as an allegory of the spread of Nazism. It explores the dynamic between being and consciousness and how capital affects the person and society. Camus was a member of the French Communist Party, although later denounced as a “Trotskyist” and expelled. He was born of European but poor parents in French Algeria. During the Second World War Camus edited the underground resistance newspaper Combat. The novel centres on a doctor treating those affected by a plague caught from rats in the Algerian city of Oran. Interestingly the lead is played by a black woman, Sara Powell as Dr Rieux. Camus’ original work is often criticised for focusing on European colonists—known as Pieds-Noirs—and undervaluing the Arab population. A bare stage is set as inquiry board or trial, a deliberate reference to Czech novelist Franz Kafka following Camus. But once the lights went down, so did the evening. The performances were stilted, unengaging and unpolished. I suspect this was more a problem of direction than acting. It was made worse by the intrusive and unnecessary soundtrack. The play droned on at one slow pace, in contrast to Camus’ layered and poetically rhythmic novel. In short, please do read the book but don’t waste your money on this play.